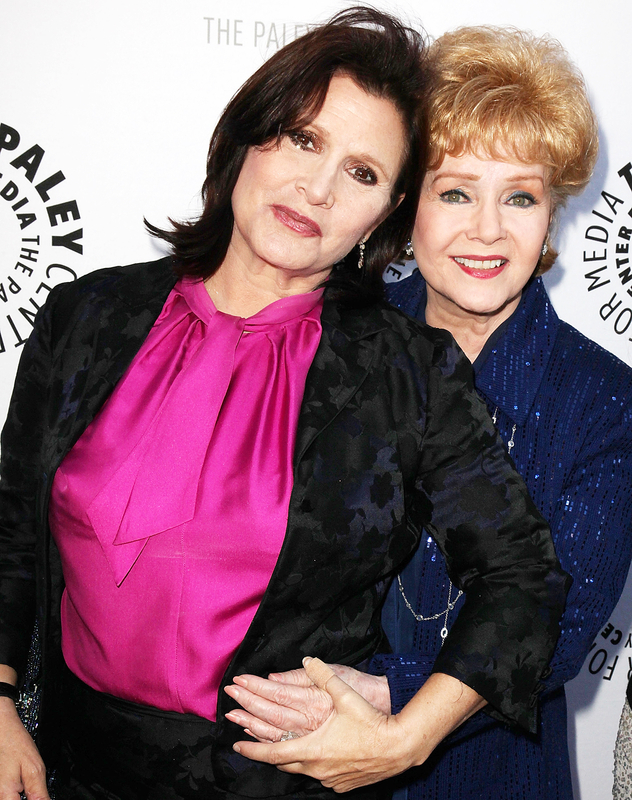 Debbie Reynolds couldn&apos;t imagine life without her daughter, Carrie Fisher. In her 2013 memoir, Unsinkable, the Singin&apos; in the Rain actress opened up about her biggest fear. "It&apos;s not natural to outlive your child. This has always been my greatest fear," she wrote in a chapter called "I&apos;m Princess Leia&apos;s Mother." She went on to note her worries over Fisher&apos;s history with substance abuse. "Carrie is my child and I love her with every ounce of strength I possess. … I don&apos;t know if I could survive that." Reynolds died on Wednesday, December 28, just one day after Fisher passed away at the age of 60. Reynolds was planning her daughter&apos;s funeral when she reportedly suffered a stroke and had to be transported to Cedars-Sinai Medical Center. She later passed away at the age of 84. According to Reynolds&apos; son, Todd Fisher, her last words were about the Star Wars actress. "I miss her so much. I want to be with Carrie," she said. On Thursday, Todd opened up about Reynolds&apos; final moments to ABC News. "She was very peaceful and quiet. It happened very gently," he said. "She loved taking care of my sister more than anything. So, she gets to do that, and that&apos;s what she wanted to do." He later posted a drawing of the two women in heaven together. "This is a beautiful love story to witness in my 58 years," he captioned the pic via Twitter. "I miss them both so much. Love is everlasting." Reynolds had Carrie and Todd with her late ex-husband Eddie Fisher, who she was married to from 1955 to 1959. The actor famously left Reynolds for her good friend Elizabeth Taylor, but he and Taylor ended their five-year marriage in 1964. Reynolds and Taylor later reconnected and even starred together in the 2001 TV movie These Old Broads, which was cowritten by Carrie.